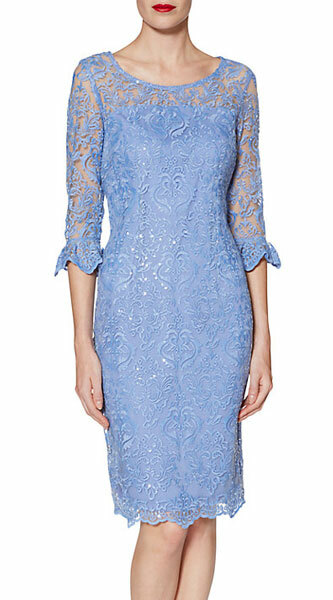 Shop the latest Mother Of The Bride 2019 collections online in the UK. 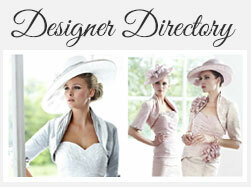 We have researched all Mother of the Bride Outfits and Mother of the Bride Dresses from all UK and International designers. 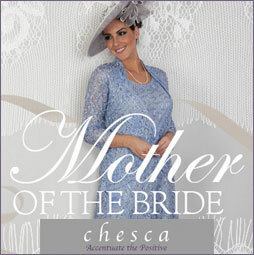 We have all the latest ranges from Mother Of The Bride specialists such as Jacques Vert, Gina Bacconi, Phase Eight as well as some great deals on preloved mother of the bride outfits from designers such as John Charles, Condici and Ian Stuart. 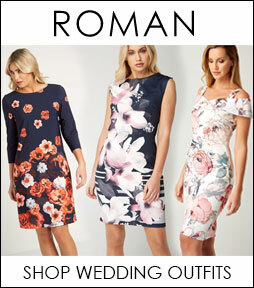 To help you make the best wedding outfit decision, we've also grouped outfits and dresses by season and by colour which should steer you in the right direction. 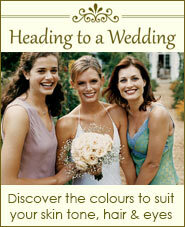 If you are heading to a wedding and need to know what colours best suit you, spend some time on our personal outfit planner. You'll never get an outfit choice wrong again! 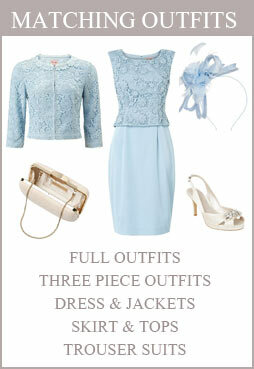 At motherofthebrideoutfits.co.uk we work closely in partnership with over 200 brands, who speciliase in Mother Of The Bride Outfits and Mother Of The Bride Dresses which means we can offer some fantastic deals and savings. 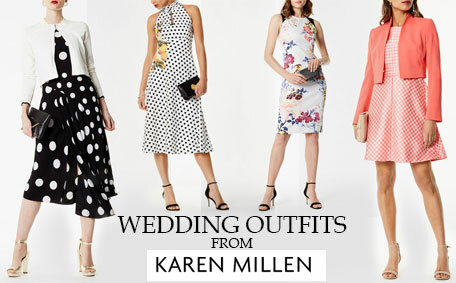 Find the perfect Mother of The Bride / Groom Outfits 2019 today at motherofthebrideoutfits.co.uk, the only site which brings together all Mother Of The Bride Wear and Mother Of The Bride Collections in one place. 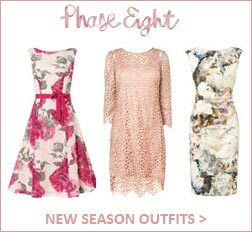 We love Phase Eight as they produce classy and elegant mother of the bride outfits that are of the highest quality and style. From their latest collection we think this delicate stretch lace dress with contrast applique and sequin embellishment dress would be perfect for your daughters big day. 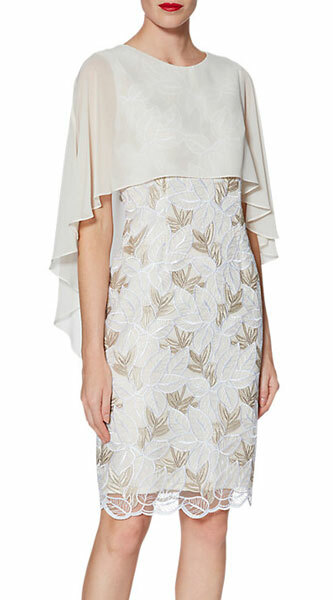 Finished beautifully with a scallop edge at the hem, cuff and overlay. This very stylish Coatigan compliments the outfit perfectly and is ideal lightweight cover upfor a spring or summer wedding. Why not finish the outfit with some of these beautiful accessories. 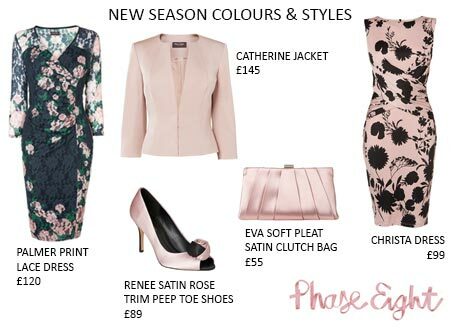 Take a look at these stunning pink outfits and accessories from Phase Eight. 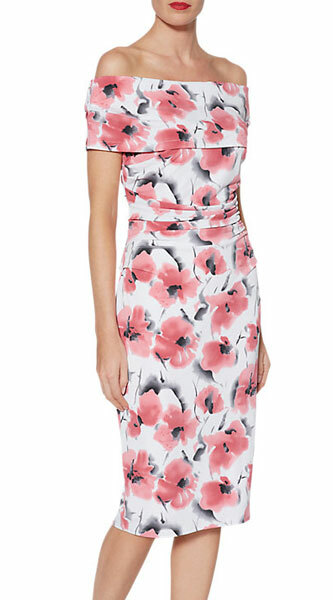 These gorgeous floral dresses are light and fresh, perfect for a spring or summer wedding. 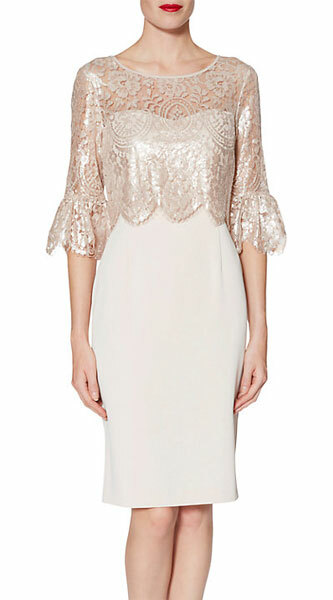 Finding the perfect mother of the bride dress to suit you takes time and effort. Luckily at Motherofthebrideoutfits.co.uk we'll do all the leg work for you. Here you'll find marvellous maxi dresses, chic shift dresses, tasty tea dresses and perfect peplum dresses in every colour to suit all your needs. 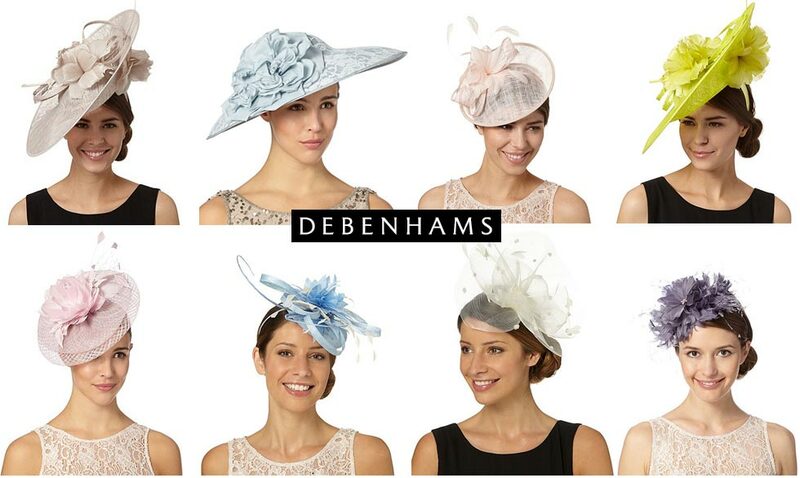 Click Here to view at our top season picks. 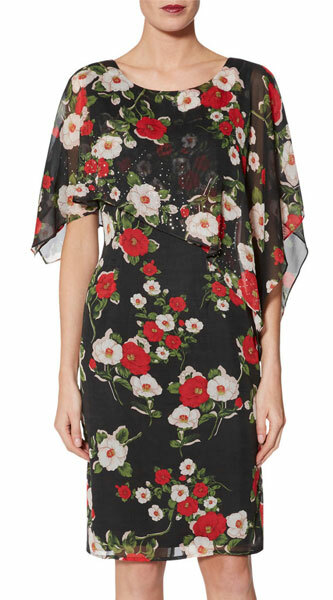 Cover Ups as well as being practical can really add the finishing touch to an outfit. When choosing the ideal cover up first you need to consider the month the wedding is in and how much warmth you'll need then the type of fabric and the colour. We suggest you choose your dress first then select your accessories including a cover up in a highlight colour or a contrasting colour. 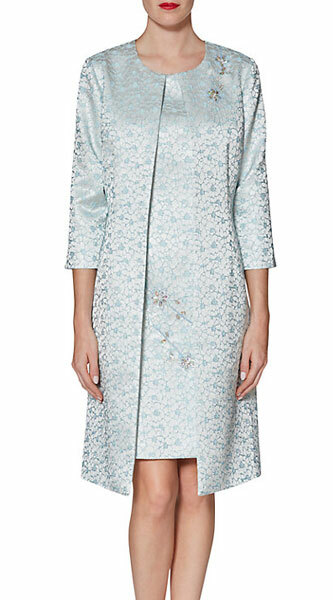 Mother of the bride cover ups that are available range from a simple scarf wrap to a bolero or light coatigan to a full coat for the winter months. 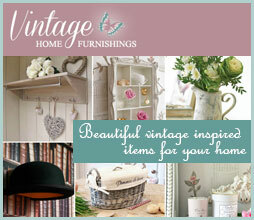 Here are some of our favourites below. Whether its wide fitting shoes for all day comfort or all out stiletto heeled glam we've got it all here at motherofthebrideoutfits.co.uk. We can show you where to purchase your comfy wedges, stylish slingbacks or strappy sandals. 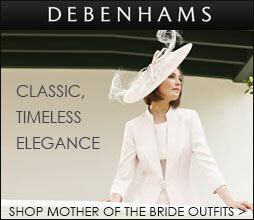 If you're a mother of the bride on a budget we can show you which stores offer the best deals for your daughters big day.